All cruises are not alike. Most people have heard of the biggies… Carnival, Royal Caribbean, Disney, etc. But there are many more cruise lines that provide a wide variety of experiences at different price points. Cruise signs. Photo by Kevin Dern. 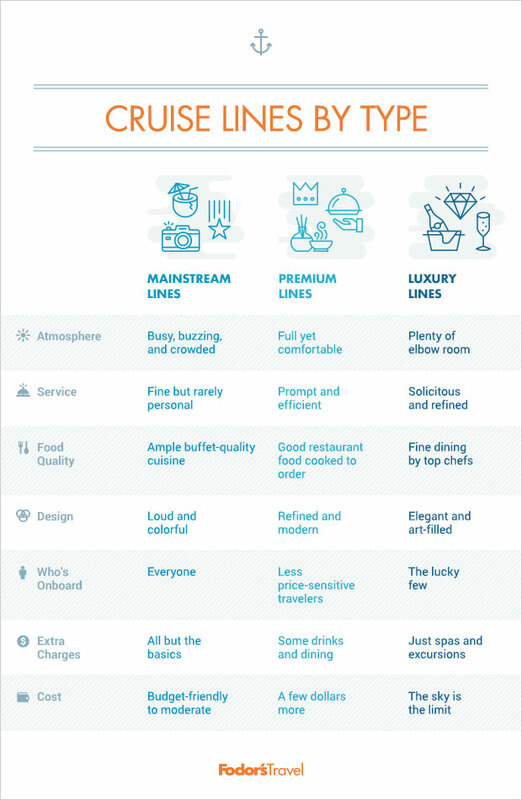 Cruise lines are typically broken into three categories: Mass Market, Premium, and Luxury. So what's the difference? The mass market ships are huge and you can typically expect lots of kids on board. Luxury ships are usually smaller, with fewer kids, older guests, and better food. Some luxury cruises include perks like alcoholic beverages, excursions, wifi, and more, but on the less expensive ships, everything is extra. Luxury cruises offer smaller ships, more interesting ports, better service, higher quality food, more inclusions, and larger cabins.